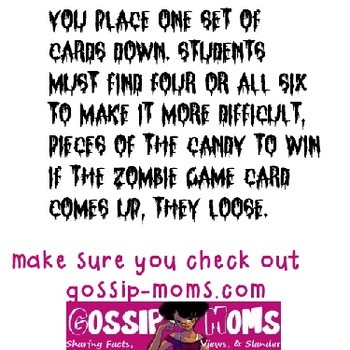 You place one set of cards face down. 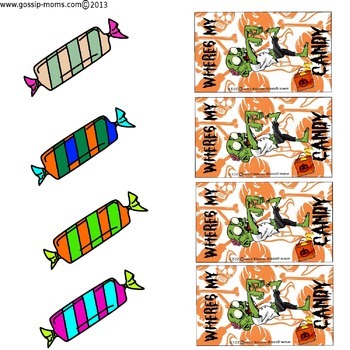 Students must find 4 (or all 6 to make it more difficult) pieces of candy to win. 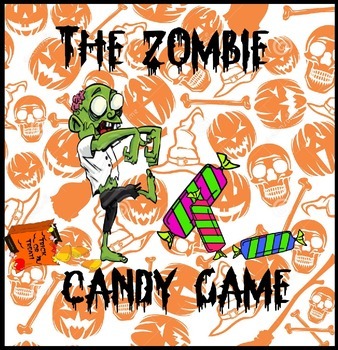 If the Zombie Candy card comes up, they lose. 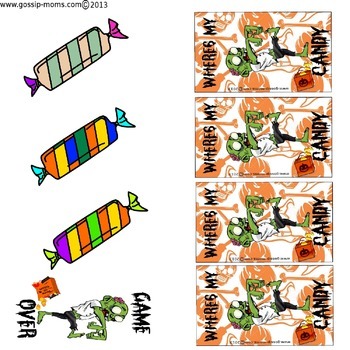 For long time use, laminate and cut out before use.